After SEO campaign from another SEO company the website got penalized and disappeared from search engine index. The main objective was to recover from the penalty, improve the rankings to the previous level and grow target audience visits to the website. As a result website recovered from the penalty. The website traffic tripled after 3 months. Till the end of the year most of the customers converted directly through the website, comparing to the previous prolonged period of total absence of orders. 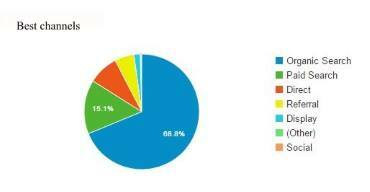 At the start of the project 89% of website traffic came from the paid search. After 4 months this situation changed drastically. 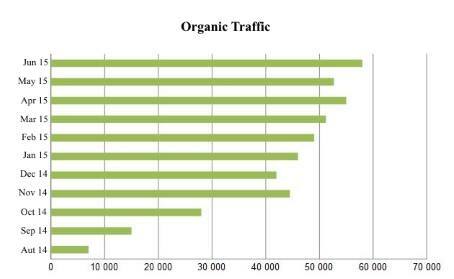 Soon organic traffic almost exclusively replaced paid search.